On both days, locally grown vegetables, cookies and quiche will be available for purchase at the farm stand. 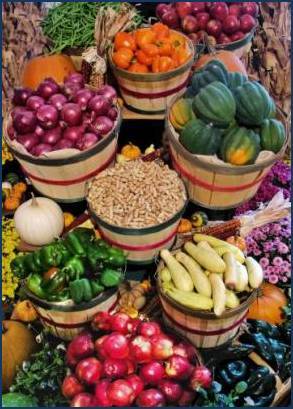 Food and seasonal items like roast corn, pumpkins, apples, cider, homemade jellies/jams, cornstalks and plants will also be on sale. A variety of garden tours and lectures will be held by master gardeners. There will also be a garden flea market, environmentally-oriented not-for-profits providing information to the public, and vendors selling homemade goods. Nursery schools have also been invited to join the festivities on Friday, September 19th. The celebration continues on Saturday, September 20thwith a community garden vegetable judging contest, a “Fairy House” story and building activity, and a pie auction of delicious goods by expert bakers, as part of CCE Nassau’s fundraising effort.